Katia Marathon Kids DK knitting yarn in bold prints is great for kids garments or cheerful winter accessories and has a machine washable (30') and supersoft blend of 25% wool and 75% acrylic. Katia Marathon Kids DK knits to a tension of 21st/ 26 rows to 10cm on 4mm needles (4 to 4.5mm needles recommended). 110m (120yds) per 50g ball. Katia Marathon Kids 107 supersoft wool blend DK in bold prints. 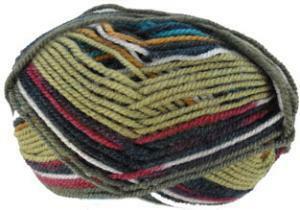 25% wool/ 75% acrylic, 110m per 50g ball. Katia Marathon Kids 102 supersoft wool blend DK in bold prints. 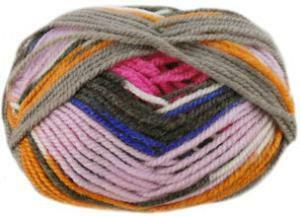 25% wool/ 75% acrylic, 110m per 50g ball. Katia Marathon Kids 104 supersoft wool blend DK in bold prints. 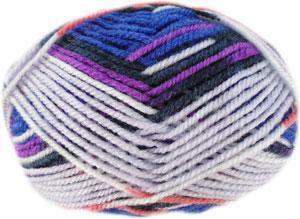 25% wool/ 75% acrylic, 110m per 50g ball. Katia Marathon Kids 100 supersoft wool blend DK in bold prints. 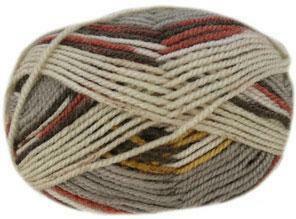 25% wool/ 75% acrylic, 110m per 50g ball. Katia Marathon Kids 101 supersoft wool blend DK in bold prints. 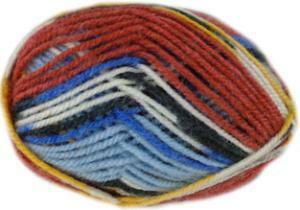 25% wool/ 75% acrylic, 110m per 50g ball. Katia Marathon Kids 106 supersoft wool blend DK in bold prints. 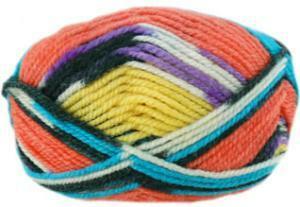 25% wool/ 75% acrylic, 110m per 50g ball. Katia Marathon Kids 103 supersoft wool blend DK in bold prints. 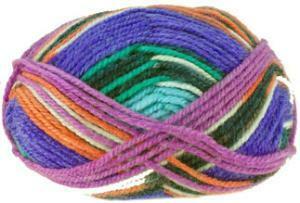 25% wool/ 75% acrylic, 110m per 50g ball.